Reality TV meets laugh-out-loud humor in this intelligent chick lit novel. Jules Vernon’s life had been stalled for too long when she lands a job on a cheesy new reality TV show. But with crazy contestants, crazier coworkers, and a hypochondriac judge to manage–her life has ramped up to unreality. Life, love, and a search for her own reality make for a wild ride. When her celebrity chef boss knocked her out with a frying pan, it jump-started Jules’s life. She’d been a slacker for too long – job-hopping, man-hopping, and trying to find out who she might be when she wasn’t pretending to be someone else. 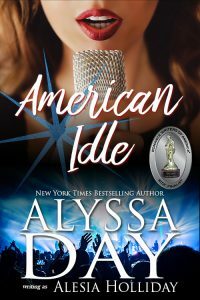 Now she’s lucked into a job on a reality TV show, and she’s herding contestants, wrangling judges, and trying to make the hot guy of her dreams realize she exists as more than a shallow party girl. Life, love, and the unreality of reality TV make for a wild ride as Jules conquers Pop Star Live! and happily ever after takes a crazy twist.